Factropolis -- A Fun Fact Every Day! : On April Fool's Day, 1975, pranksters broke into London's Big Ben and switched its gears so that it ran counter-clockwise. 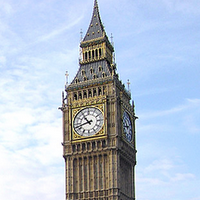 On April Fool's Day, 1975, pranksters broke into London's Big Ben and switched its gears so that it ran counter-clockwise. Do you realize how hard.. no.. impossible this would be?